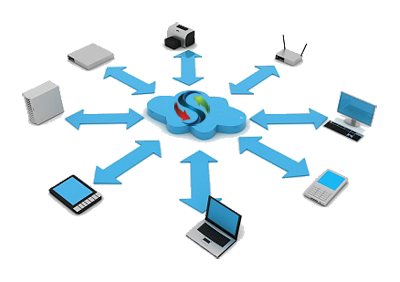 Welcome to SolutionBooth IT Services. With over 30 years of combined experience, our IT professionals offer a vast array of IT solutions to assist you with your IT infrastructure big or small, we’re here to help. We understand the ins and outs of the IT landscape, so you don’t have to! Contact us to schedule a consultation for full office technology integration, advice and support. Remote access management, for easy, after hours support! What is included in “IT” (a.k.a Information Technology)? Some business owners don’t understand that their “IT guy” should be able to do more than reboot a workstation when it starts misbehaving. A true “IT guy” should be able to help you find the right solutions for many things in your office… servers, workstations, network components, software, telephone (both traditional land lines and cell service), audio/video needs in your offices, etc. They should be able to provide you with recommendations to help make your business more efficient with all information flowing in and out of your offices. The right “IT guy” should be working to help you become more efficient at doing your REAL job, which ultimately makes your customers happy and will help your business become more successful.